Sun and clouds mixed. A stray shower or thunderstorm is possible. High near 80F. Winds NNW at 5 to 10 mph.. Some clouds this evening will give way to mainly clear skies overnight. Low 56F. Winds ESE at 5 to 10 mph. With the new law, some hairstylists would legally be able to charge for their services despite the lack of a state license. PHOENIX — You don’t need to be a rocket scientist to style hair for money in Arizona. And pretty soon you won’t need to be a cosmetologist, either. But the new law, which will take effect this summer, does not eliminate all state oversight. Prior efforts to deregulate the practice died amid concerns about the kinds of illness that could be spread by untrained people, both in failing to notice communicable diseases and in failing to properly sterilize equipment between customers. The version that Ducey signed requires the state Board of Cosmetology to come up with some sort of course — the specifics and length are not specified — to teach sanitation, infection control and state laws on the issue. 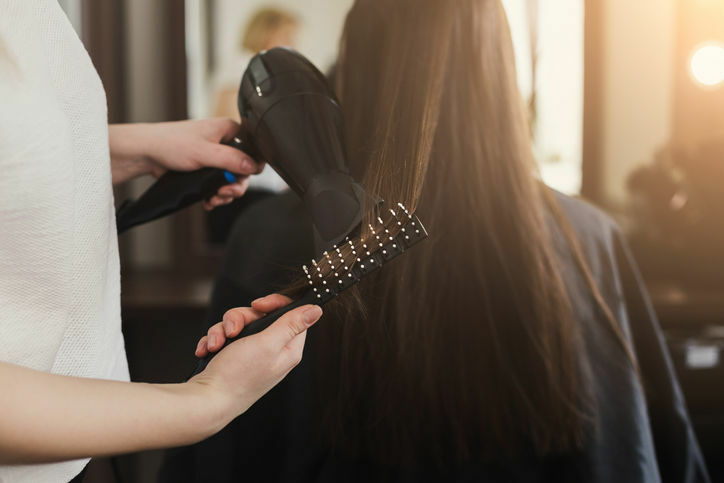 It also requires that any shop that uses an unlicensed stylist post a sign in a conspicuous location telling would-be customers that the stylist is not regulated by the cosmetology board. Even with that, some foes remained dissatisfied, saying someone without proper training can easily burn the head of a customer with the permitted tools. The new law does keep in place existing training requirements for those who want more than a simple styling. Licensing remains mandatory for those who apply chemicals to straighten or curl hair. Arizona governor calls it a "big win for freedom and Arizona workers."